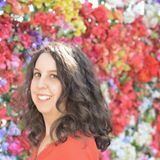 Amanda Abella is a bestselling author, a business coach to millennials, and the creator of the Make Money Your Honey coaching process. She offers the free 5 Ways to Stop Sabotaging Your Chances of Making Money course on her website. Recently, she spoke with us about how and why retirement is something that millennials should start considering now, as well as some of the secrets to her success. Your book and website both invite people to make money their honey. How did that come about? I graduated from college in 2010 into a terrible economy. I went six months without being able to find any employment and a full year before I had a full time job. During this time, there was a lot of fear and uncertainty regarding the financial future of millennials. I simply decided I wasn’t going to let economic circumstances deter me from living my life and invited others to do the same. Now that message has expanded into teaching an entire generation about personal finance and entrepreneurship. Well, once I was finally able to find a job, I was a recruiter for a job placement agency that specialized in placing candidates within Fortune 500 companies. That lasted a while, but I always knew in my heart I was meant to work for myself. What is the most important thing that millennials should know about saving now for retirement? Start saving now! I’ve spoken to too many individuals who feel like retirement is so far away or they simply just cannot afford to save for their golden years. Little do they know they’re missing out on compounding interest and reinvesting dividends. We’re young and we’ve got time on our side; we should use it to our advantage. What are some of the biggest challenges that people are likely to face when planning for retirement that may be far in the future? That’s exactly it. It seems too far into the future that it’s unimportant in the present. I believe that’s the major culprit and one of the reasons people don’t manage their money in a way that allows them to save for retirement. How do you think regular savings and saving money for retirement should be seen differently by millennials? Well, I can tell you how I do it. I can’t touch my retirement money until I’m at least 59 1/2. Savings, on the other hand, is for shorter term goals. For instance, I now have a goal to have $5,000 in savings for emergencies. It’s liquid cash I can use, whereas retirement is taking care of myself now so I can definitely take care of myself later. How do you think retirement needs will change in the future? What can younger professionals do to best prepare for this? I know there’s a ton of fear over social security, 401(k) plans, pensions and taxes, but the truth is we can’t predict the future. All we can do is set ourselves up for success as best we can. I, for one, am a huge fan of diversifying my income through both passive and active means; this not only helps now, but can also help in dealing with any major changes that go on in the future. What are some of the things that have contributed to your success? What are some of the things you learned along the way? Patience is a virtue, and perseverance is omnipotent. We tend to like instant gratification in this society, and success certainly doesn’t work that way. It takes a lot of hard work, time and dedication; so it’s best that we learn to enjoy the entire process and not just the destination. The same goes for your financial life. By learning to enjoy the process, it becomes easier to do things like saving for retirement even though it seems light years into the future. I used to avoid anything with numbers because I identified as a creative person and learned in the third grade that math was a challenge for me; but with time, I learned to love the process of making and managing money. In some ways, I have the recession to thank for that because it forced me to take a serious look at my career and finances. I think people need to learn that money doesn’t have to be so scary. It’s not some external force out to make or break us – after all, we’re the ones who invented currency! I think it’s important to remember that currency lets people know that they are the ones who can choose to be in control of their financial lives. Follow Amanda on Facebook and Twitter.